As record sales have been growing recently so have the sales of vintage turntables. In order for you to completely enjoy your record collection you will need a decent record player. Luckily, you don’t need to buy old turntables and dish out an insane amount of money for them, you can simply buy a brand new one. Take a good look at the Archer Vinyl Record Player by Electrohome, one of the best turntables available today. Like many companies that still produce turntables, Electrohome has a long lasting tradition in manufacturing home entertainment systems. In fact, long lasting is a mild way of saying it as this brand name has been present on some of the best electronic devices for the last 100 years. 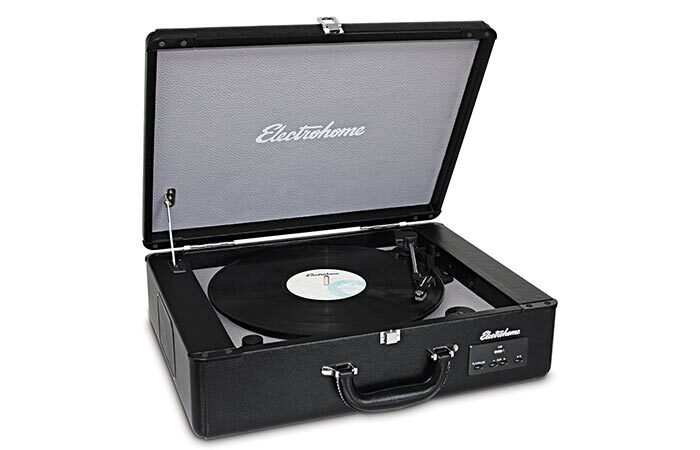 Today, Electrohome offers the Archer to any and all who like to enjoy listening to music on record players. The first thing that you will notice about the Archer is its design. 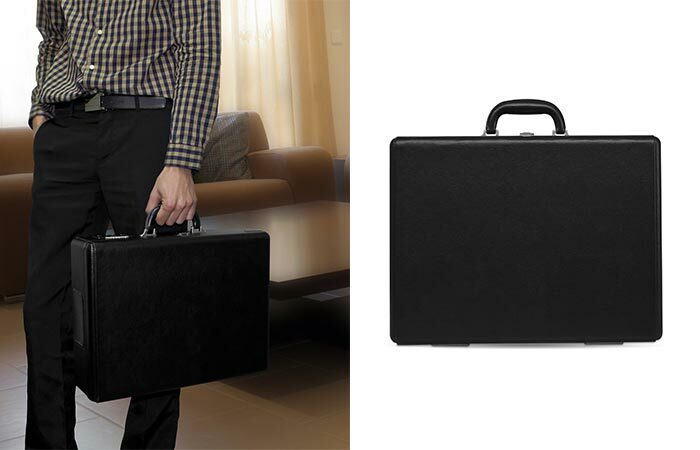 The turntable is placed in an all-wood 60s style suitcase which adds that charming vintage look to it. However, this is a new turntable which means new features and modern technology. The Archer is a 3 speed fully automatic turntable which can play 7″, 10″ and 12″ records so your entire collection can be listened to. With its built-in full range stereo speakers you will enjoy high quality sound. 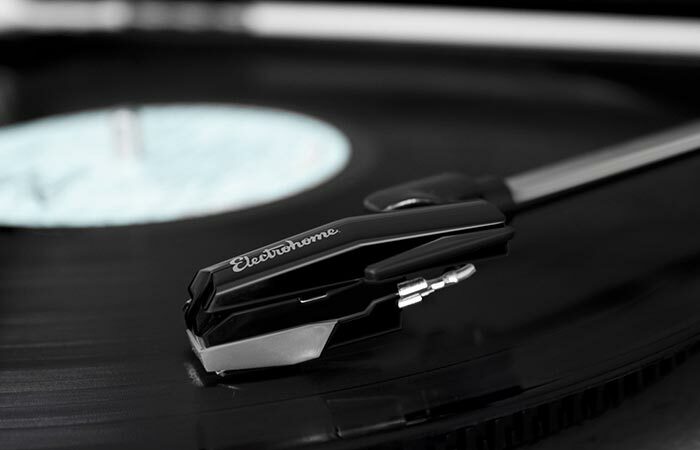 The diamond tipped ceramic needle further increases audio performance and will keep safe even the most cherished of your records. 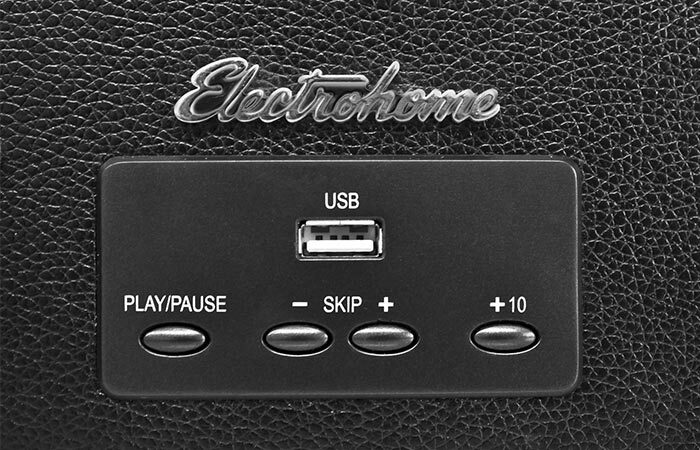 As many new turntables are equipped with a USB port, the guys at Electrohome made sure that this feature doesn’t get left out. You can use it to connect your smartphone to play music on it or you can just plug in your USB drive and listen away (Aux input also allows you to connect your music players to the turntable). There is one unfortunate thing when it comes to the USB port; you can’t connect it to your laptop or personal computer to rip your record. But we can live with that, right? As long as the turntable does its job properly and it does. Don’t wait too long if you are looking for a turntable as the Archer Vinyl Record Player offers high quality sound and excellent technology all packed in a awesome vintage suitcase.